We are the only children's residential hospice in Kent, East Sussex and South London providing a wide range of services to life-limited children. Within the Demelza family, we offer short residential breaks and day care at Demelza House, hospice at home care at Demelza-James and our Child project in South London aims to build a new six-bedded hospice in Eltham. Demelza House Children's Hospice is the inspiration of Derek and Jennifer Phillips, who set it up following the death of their daughter Demelza in 1990, aged 24, from a brain tumour. Demelza worked at a children's hospice in Birmingham. After four years of fundraising, Demelza House Children's Hospice opened its doors to the first children in 1998. The buildings, set within a 6 acre site in rural Bobbing, near Sittingbourne, are designed to look like a traditional Kentish farmhouse with the addition of a beautiful oast house in keeping with the Kent countryside. Since 1998, Demelza House has gone from strength to strength and is now providing leadership and focus for its many children, families and staff and also for supporters. Many people still think a children's hospice is only for very sick children. This is far from the case. We welcome any child with a life-limiting condition, fulfilling our criteria, at any stage of their illness or health. We envisage good friendships developing as happens in other children's hospices, when the child and family visit us regularly over the years. 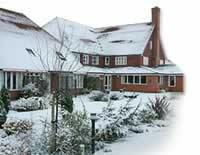 Children's Hospice South West helps 200 sick children and their families every year. The families we care for describe the experience they have at Little Bridge House as a 'lifeline' and a 'safe haven'. Children, siblings and parents are given the chance to relax and enjoy themselves, whilst also having the support they need to care for a very sick child. We also recognise the immense value that families find in being amongst those who have similar experiences. Children's Hospice South West is dedicated to making the most of short and precious lives. With your support, we can continue to care for more children and their families every year. Little Bridge House opened its doors to welcome the first families in September 1995. Situated in Fremington, near Barnstaple, in beautiful North Devon, it provides a small home from home with a friendly atmosphere to families with life-limited children from all over the South West.